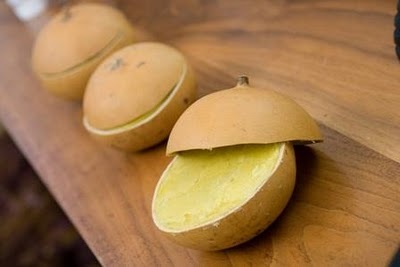 So it's no surprise that there are tons of beauty products loaded with this special butter. This series will cover three different categories of shea-rich beauty products. First up, hair and body products that find their way into our shower! There are a lot of body washes with shea in them out there, but this one takes the cake. I find that a lot of body washes are formulated to be either invigorating or relaxing, but somehow, this one manages to be both at the same time. I tend to switch around my showering a lot, and I found this to be great at helping me wind down in the evening, but equally good at perking me up in the morning. And like most Dove products I've tried, it left my skin feeling squeaky clean and incredibly soft with moisture. If you're short on shower storage space like I am, this body wash can do it all. There is nothing like a good body scrub. On the days (okay, months) when I don't have time or money for a spa visit, I love to cover myself from tip to tail with a good, strong scrub and then step into the shower and feel the dead skin and the stress just melt off of my body. I really think it's the best five minutes you can spend on yourself. 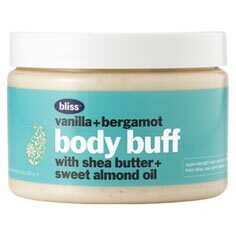 And this Bliss Body Buff is tops. With almond paste and vanilla bean pieces doing the exfoliating, shea butter and sweet almond oil doing the moisturizing, and vanilla and bergamot doing the scenting … it's a winning combination. Not rough enough to leave my sensitive skin red and distressed, but sufficiently coarse to get the job done, this scrub can be followed by the similarly scented Vanilla + Bergamot Bubbling Bath + Shower Gel if you want to spend your whole shower soaking up this spicy aroma. Note to scrubbers: although scrubs work fine if applied in the shower, I highly recommend using it on dry skin for maximum effect. Clarifying shampoos + my dry, brittle, wavy hair = bad news. But with this shampoo, I can reduce product and oil buildup without sacrificing the moisture that my hair so badly needs. The equation is simple: this hard-working shampoo is sulfate-free, thus more gentle on the hair than others that promise to reduce gunk. 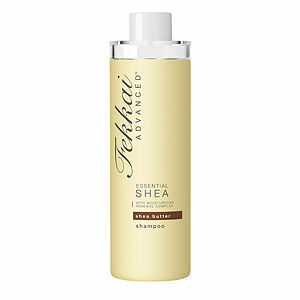 The addition of shea butter promises that this shampoo will leave things more hydrated than it found them. Throw in the accompanying ultra-rich conditioner and the even more luxurious hair mask, and my hair was left feeling supple and strong and looked gloriously shiny. That math adds up!